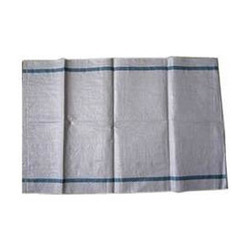 Prominent & Leading Manufacturer from Ahmedabad, we offer liner woven packaging sack. We are the leading manufacturers and exporter of Liner Woven Packaging Sack and our product is made of good quality. These are used when the particle size of the product is very fine and it may ooze out of the woven bag. The bags we offer have additional liners that ensure proper packing and no leakage/spill of material.